Lamed Hey: In the Footsteps of Our Forefathers. Growing up in New Jersey, my youth was filled with visits to important places associated with George Washington; where he fought, slept, and ate, and places associated with Thomas Edison and his many inventions. I even grew up next to a house whose sub-basement was a stop on the Underground Railroad. These bits of history as far back as 1775 are vividly etched in my mind still today. Living in Israel, I have been exposed to a new set of landmarks, some obvious ones going back thousands of years including the Western Wall and remains of Jerusalem’s ancient Temples, the burial places of our patriarchs and matriarchs, Abraham, Isaac, Jacob, Sarah, Leah, Rebecca and Rachel, Joseph and others. These are frequented on typical tourist itineraries, but there are many more off the beaten path, literally and figuratively. These sites are landmarks in the thousands of years of Jewish history, underscoring our ancient, and modern, connection to the Land. One example is a path through the mountains near my home south of Jerusalem called Derech HaAvot – the “Patriarchs Route.” More than just a catchy name, this winding dirt path is literally one of the ways that people walked south from Jerusalem to the desert, to Israel’s southern coast, and residential and commercial areas of the day, thousands of years ago. Did Abraham and Sarah and their children and grandchildren walk these very routes, maybe while going down to or returning from Egypt? There’s no archeological evidence of that (yet) but it’s intuitive that they did, as this was one of the highways of their day. There’s something awesome and humbling knowing that these very hills, with their hot dry weather, beautiful landscapes, and magnificent sunsets, are the same today as when they lived, connecting us deeply to the Land, and our history. Of course, the most famous Book documents this all, I just have the privilege to live and raise my family here. As much as biblical events happened all around us, there’s a vast amount of modern historical connection we have to the Land as well. A few years ago, we went with friends to visit one of Jerusalem’s lesser-known but no less interesting historical spots, the Museum of the Underground Prisoners. This is where the British used to incarcerate Jews who were accused of many crimes including being part of the resistance to the British Mandate and British policies limiting the number of Jewish immigrants, including refugees and Holocaust survivors who were able to reach the shores of our homeland. Growing up here at that time, my father used to tell me about his friends’ older siblings who were arrested and sent to places like this, or exiled to Cyprus, for “crimes” as serious as posting flyers against the British. Back in the Underground Prison, one of our friends we were with, whose family goes back generations in Jerusalem, was raised both with academic lessons and personal family stories of this era. While exploring the museum’s exhibit that recounted the experiences of the prisoners, she came across a small Book of Psalms with a sign next to it that it had belonged to her uncle who had been imprisoned there. This little book was a link in the chain of Jewish life and experiences in Israel before 1948 that made the visit very personal to us all, and especially to her children who were fascinated to see a piece of modern history that documented their family’s ties to our national history. OK, it’s not the same as finding the knife that Abraham would have used to sacrifice Isaac, but it is meaningful all the same. Every other year for the past several years, most recently this week, one or more of my kids joined thousands of Israeli teens commemorating the anniversary, an annual re-enactment of a famous hike, that of the legendary Lamed Hey. The kids experience for a night the mission, terrain, and weather, of an historic event in modern times, and our unbreakable bond to the Land. Lamed Hey are the Hebrew letters that represent the number 35 for the Thirty-Five soldiers who set out on an all-night mission to bring aid to the Gush Etzion region during Israel’s War of Independence. On January 15, 1948, the Thirty-Five set out by foot carrying heavy backpacks loaded with first-aid supplies, plasma, weapons, and ammunition for the embattled Jewish Gush Etzion communities. They were forced to proceed slowly up the Judean Mountains’ rocky terrain. They departed before midnight, more than 15 miles away. Other than braving a cold Judean Mountain winter night, they first had to bypass a British police station unnoticed, and continue through hostile Arab territory. The Thirty-Five walked throughout the night. Near dawn they approached Zurif, the last Arab village before Gush Etzion, four miles away. The unit was detected and shots were fired at them. They were deep in enemy territory without any means to call for outside help. As soon as the battle began, the commander realized that they would not be able to break through to Gush Etzion. They quickly split into two and, with one group covering the other, they climbed to the top of what is now known as “Battle Hill,” a strategic defensive location. The Thirty-Five bravely defended themselves against the fierce attacks of hundreds of Arabs from neighboring villages. Toward evening on Jan. 16, the supply of ammunition which the Thirty-Five carried began to run out. The battle ended with the death of the last of the Thirty-Five who, having used all their ammunition, died with rocks in their hands. After the battle, many of the bodies were mutilated by the Arabs beyond recognition. We are connected to this Land, biblically, historically, and in modern times in more ways than can be recounted. We have paid a heavy price to return and restore Jewish sovereignty to the Land that God gave to Abraham, Isaac and Jacob, and their descendants, including me and my family. It is with no small measure of joy and privilege that I raise my children here, 10-15 minutes from Jerusalem, the Cave of the Patriarchs in Hebron, Rachel’s Tomb in Bethlehem, and “Battle Hill” to where each of my four eldest children retraced the footsteps of modern forefathers, recalling their bravery, and our timeless connection to this, our Land, in the footsteps of our modern and biblical forefathers. Live Like You Have Something to Offer. She was twenty when I ﬁrst saw her, old enough to look up to but not so old I couldn’t relate. I walked into the youth room of Highland Park Baptist Church late that night so the program had already started. Michigan winters didn’t lend themselves to much inspiration, so when I saw her sitting up front leaning against a stool, her deep-set, mysterious eyes holding more stories than she ought to know at so young an age, I knew something was about to happen. Her generosity was palpable. She picked up her guitar, her small frame nearly disappearing behind it. And she began to sing. Her lyrics dripped heavy with questions and faith and love and longing. She didn’t just sing notes, she sang story. Listening to Sarah Masen sing that night, the winter before I turned eighteen, I thought it was her voice and her talent that touched me so deeply. I was aware of a mysterious movement within me, but I was unable to deﬁne it. And so, I did what most people do. I believed it was her skill that moved me. That night I wished more than anything to have a talent like hers. I grieved the fact that my singing voice was average, my painting skills didn’t exist, and my dancing was limited to jerky, stiff cheerleading moves. I had heard talented musicians before. But this time was different. She offered herself honestly and beautifully, sharing something from within her laced with courage and hope. She showed me beauty and woke up a longing in me to take part in it. The beauty she shared was, quite simply, herself. And in sharing herself, she showed me a glimpse of the glory of God. Decades later, I’m circling around that winter night in Michigan, realizing what was stirred up in me and knowing it matters. Technicians don’t move us. Artists do. Skill may be impressive and even necessary, but skill alone doesn’t touch the soul. The profound gift Sarah gave me was the recognition that it wasn’t her skill that moved me, it was her art. Sarah introduced me to a shadow of my true self, touched something in me that was there but sleeping. That’s what artists do. They pull back the covering on our inner life, allowing us to see things beneath the surface, things that, without their compassion, creativity, and generosity, we may have missed. The exchange between actors on the screen. The image of Paris in the snow. The tuning of the strings before the show. Art coming from honest hands shows us beauty, stirs up longing, and touches us deeply. The extra care the cashier takes with your order, the way she looks you in the eye, asks how you are, if you need help or a price check, as if her work is important and she knows it. The teacher who makes history come alive, telling stories ﬁlled with facts and truth and background, while students learn without even realizing it. How many times have we been rushing through the day, weary from the world, grieving a loss we didn’t even know we were grieving, and all it takes is for a stranger to offer to carry our bags from the baggage carousel to the curb and we break down as if they offered to buy us a house or bring our loved ones back from the dead? Cashiers and cellists are capable of making art because they both have the power to inﬂuence, to be fully awake to their Maker, and fully aware of his making of them. I can’t imagine anything more dangerous to the enemy of our hearts than people who know who they are. Maybe you have in your mind a moment in time when you have been moved by the heart of an artist—you remember a second grade teacher who woke up in you a love for reading, a best friend who supported you in the midst of college drama, a musician who offered himself so fully to his audience that you couldn’t shake the feeling for days after the concert. It’s easy to point out the inﬂuence in others, to see them as images of the Divine Artist, to be liberal with our admiration, compliments, or even our criticism. But what of your own inﬂuence? What about the conviction of your true self, pointed out, accepted, and poured out as an offering? Maybe you are a person who thinks art is for other people. Maybe you can’t imagine God having art in mind when he made you. Maybe you doubt the connection between the work you do with your hands and the story you are telling with your life. All of that has a particular time and place, right? Art is for a certain type of person doing a certain type of thing. Art isn’t for you. Is it? Could it be true that you, too, are an artist? And if it could be true, wouldn’t you want to ﬁnd out what that might mean? You don’t need a test or an expert evaluation or an extensive and professional analysis to ﬁnd out what kind of art you might have to offer. You don’t need to gear up for a long journey or take time off work. Instead, I hope to do for you what Sarah did for me—pull back the layers suffocating the truth of who you really are. Maybe you have a dream or a desire to move into the world, something you’re always talking yourself out of. Or maybe you wish you had a way to inﬂuence others but you don’t think you do. It is my intention to introduce practices to help you uncover the art already alive within you. You were born to make art. It is also my intention to walk with you as you begin to release your art into the world, for the glory of God and the beneﬁt of others. Because you were also made to live art. It’s time to rescue our beautiful design from the dark grip of doubt and discouragement. It’s time to remember the Spirit of power and love and a sound mind who lives within us. It’s time to live as though we believe we have something to offer. It’s time to release our authentic selves into the world. Because it isn’t only the painters who are allowed to be expressive, it isn’t only the musicians who can touch our souls, it isn’t only the novelists who can inspire us to dream. Have you noticed how God does things? Have you considered the way he colors the sky? Or the smallest details in the blades of grass or grains of sand beneath your feet? Is he only a God of right answers and right angles and acceptable behavior? Have we exalted the will of God and the plans of God above God himself? He does not manage us, to-do list us, or bullet-point us. He loves us. Is with us. And believing him feels impossible, until we do, like a miracle, like lukewarm water turning merlot red right there in the cup. And hope sprouts new, because God doesn’t give us a list. He invites us into the story. This is the God who made you. The same God who lives inside you. That’s why there’s freedom, even in the blah. Hope, even in the dark. Trust, even as we face our critics. And believing in the midst of all that? It feels like strength and depth and wildﬂower spinning; it feels risky and brave and underdog winning. Excerpt Used By Permission from A Million Little Ways by Emily Freeman (Revell, 2013). 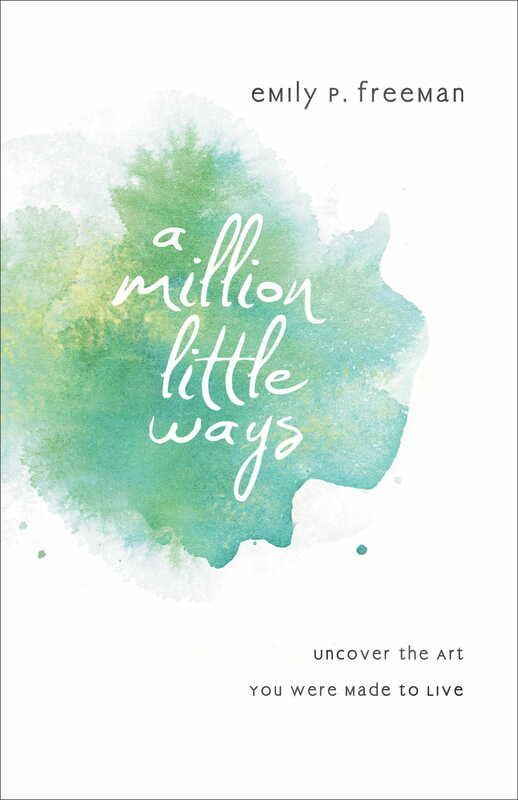 Emily Freeman is the author of A Million Little Ways andGrace for the Good Girl. Connect with Emily online atwww.emilypfreeman.com where you’ll find her blog, Chatting at the Sky. Sarah – Wife of Abraham. Abram‘s Counsel to Sarai by James Jacques Joseph Tissot (circa 1896-1902). Profile of Sarah, Wife of Abraham and Mother of the Jewish Nation. Sarah (originally named Sarai) was one of several women in the Bible who were unable to have children. That proved doubly distressing for her because God had promised her husbandAbraham that he would be the father of the Jewish nation, with descendants more numerous than the stars in the sky. After waiting many years, Sarah convinced Abraham to sleep with her handmaiden, Hagar, to produce an heir. That was an accepted practice in ancient times. The child born of that encounter was named Ishmael. But God had not forgotten his promise. Three heavenly beings, disguised as travelers, appeared to Abraham. God repeated his promise to Abraham that his wife would bear a son. Even though Sarah was very old, she did conceive and deliver a son. They named him Isaac. Isaac would father Esau and Jacob. Jacob would father 12 sons who would become heads of the 12 tribes of Israel. From the tribe of Judah would come David, and finally Jesus of Nazareth, God’s promisedSavior. Sarah’s loyalty to Abraham resulted in her sharing in his blessings. She became the mother of the nation of Israel. Sarah was obedient to her husband Abraham. Even when he passed her off as his sister, which landed her in Pharaoh’s harem, she did not object. Sarah was protective of Isaac and loved him deeply. At times, Sarah doubted God. She had trouble believing God would fulfill his promises, so she plunged ahead with her own solution. Sarah waited 90 years to have a baby. Certainly she had given up hope of ever seeing her dream ofmotherhood fulfilled. 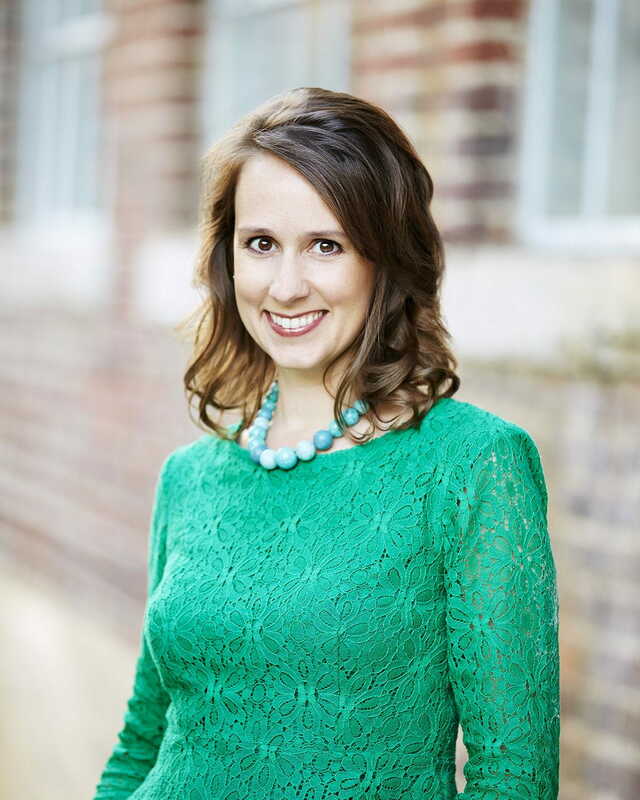 Sarah was looking at God’s promise from her limited, human perspective. But the Lord used her life to unfold an extraordinary plan, proving that he is never limited by what usuallyhappens. Sometimes we feel like God has placed our lives in a permanent holding pattern. Rather than taking matters into our own hands, we can let Sarah’s story remind us that a time of waiting may be God’s precise plan for us. Unknown. Her story begins with Abram in Ur of the Chaldeans. Genesis chapters 11 through 25; Isaiah 51:2; Romans 4:19, 9:9; Hebrews 11:11; and 1 Peter 3:6. Living by Faith in an Uncertain World. I received an email from someone who is struggling with some decisions that have not worked out the way they expected. The details don’t matter except to say that the person took what seemed to be a step of faith and the result has been a great big mess. That’s a natural question to ask when life rewards your courage with nothing but trouble. The truth is, it’s entirely possible that this person did nothing wrong. Or maybe they did, but their current troubles are not proof that they were wrong in the first place. That’s a hard truth to accept, especially when you’re the one in the middle of the mess, after you’ve done what you thought was the will of God. There are a lot of things that might be said at this point, but perhaps this one needs to be mentioned first. What club is that? The International Fellowship of Faith-Walkers Who Feel Like Failures. The bad new is, we’re all a member of that club at one time or another. The good news is the membership includes every major Bible hero. Peter is a charter member. And so is David. And Gideon. And Noah. And Sarah. And Job. And Jacob. The list goes on and on. Hebrews 11 offers us a long list of men and women who obeyed God even when things didn’t always work out they way they expected. The names written there are like a biblical hall of fame: Abel . . . Enoch . . . Noah . . . Abraham . . . Sarah . . . Jacob . . . Joseph . . . Moses . . . Joshua . . . David. Different people, different stories, widely separated in time and space. Stories that span thousands of years. Stories that encompass murder, natural catastrophe, family treachery, physical weakness, failed dreams, missed opportunities, sibling rivalry, and military conquest. The men and women whose stories are told in this particular chapter differ in every way but one. What they did, they did by faith. All of them had moments when they must have wondered, “What did I do wrong?” Yet God considered each of them worthy of mention in this great chapter. Our focus in this message is on the man we often call “Father Abraham.” In the Bible he stands as the preeminent example of a man who lived by faith. Hebrews 11:8-10 tells how he obeyed God’s call at great personal sacrifice. It tells us what he did; more importantly, it tells us why he did it. And it clearly shows us that obeying God doesn’t always work out the way we think it will. Let’s begin with some brief facts about Abraham. When we meet him in the Bible, he is living 4,000 years ago in a far-off place called Ur of the Chaldees – on the banks of the Euphrates River, not far from the mouth of the Persian Gulf. No doubt he and his wife Sarah worshiped the moon-god Sin. He is a prosperous, middle-aged man, successful by any human standard. Life has been good to Abraham and Sarah. Certainly they have no reason to complain. It is at precisely this moment that God speaks to him – clearly, definitely, unmistakably. What God says will change his life – and ultimately alter the course of world history. So what does it mean to live by faith in an uncertain world? Truth #1: Living by faith means accepting God’s call without knowing where it will lead. “By faith Abraham obeyed when he was called to go out to a place that he was to receive as an inheritance. And he went out, not knowing where he was going” (Hebrews 11:8). There is only one way to describe Ur of the Chaldees. It was a world-class city. Archaeologists tell us that in Abraham’s day perhaps 250,000 people lived there. It was a center of mathematics, astronomy, commerce and philosophy. People from outlying areas moved to Ur because they wanted to be part of that great city. No doubt many of Abraham’s friends thought he was crazy. Why would anyone want to leave Ur? Obeying God’s call meant giving up his friends, his career, his traditions, his home, his position, his influence, and his country. More than that, it meant risking his health and his future on a vague promise from an unseen God to lead him to “a land that I will show you” (Genesis 12:1). When Abraham left Ur, he burned his bridges behind him. For him there could be no turning back. Once he left the walls of Ur, he was on his own, following God’s call into the unknown. Please don’t miss the point. When God calls, there are no guarantees about tomorrow. Abraham truly didn’t know where he was going, didn’t know how he would get there, didn’t know how long it would take, and didn’t even know for sure how he would know he was there when he got there. All he knew was that God had called him. Period. Everything else was up in the air. You want a long life? So do I. You want to rise in your profession? So do I. You want lots of friends? So do I. You want to grow old and die with your family around you? So do I.
There’s nothing wrong with those desires. All of us feel that way. But living by faith means no guarantees and no certainty about the future. I was once approached by a Christian ministry asking if I would consider a particular position in their organization. I met the people, liked them very much, and was very impressed by what they were doing. As I investigated further, I found that they take very good care of the people who work for them. I liked everything I learned about the people and their ministry. But when the moment came, I decided to say no. This isn’t how I put it to them, but it’s how I said it to myself. I couldn’t hear the bells ringing. You either understand that or you don’t. If you don’t, there isn’t much I can say that will be helpful. And if you do, there isn’t any explanation that is needed. But I will add this much. All of us come to moments in life when we say yes or no to certain opportunities simply because it’s the right thing to do at the time. Sometimes we take a job because we need to pay bills and take care of our family. It’s hard to get more basic than that. And young people take jobs in various places as they are building their careers. I just read an article that suggests that the average worker in the US may have as many as 10 jobs by the time he is 40 and will make 3-5 career changes by the time he retires. People make moves and change jobs and relocate and start over again for all sorts of reasons. Sometimes you are forced to make decisions for reasons beyond your control. In these tough economic times, people scramble to take whatever jobs they can find. But there are moments in life when you have a choice, a decision, and you can stay where you are or you can do something different. I don’t know of any failsafe way to know in advance how things will work out. Abraham heard the bells ringing (not literally – that’s a symbol for a sense of God’s calling), and so he left Ur of the Chaldees. If you truly want to do God’s will, sometimes you will find yourself exactly where Abraham was – setting out on a new journey that doesn’t seem to make sense from the world’s point of view. How would he ever explain his decision to leave the comfort of Ur for the uncertainty of a long trek across the desert? The only certainty he had was that God had called him and he must obey. The rest was shrouded in mystery. That fact makes his obedience all the more impressive. The NIV version of Hebrews 11:8 says he “obeyed and went.” There was no greater miracle in his life than that. Everything else that happened flowed from this basic decision. God called; he obeyed. That truth was the secret of his life. He stepped out in faith even though there were no guarantees about his own personal future. Let me put it another way. Living by faith means stepping out for God and leaving the results to him. It’s no guarantee of long life and good success. You may have those blessings. But you may not. That brings us to the second great truth about living by faith. Truth #2: Living by faith means waiting on God to keep his promises. “By faith he went to live in the land of promise, as in a foreign land, living in tents with Isaac and Jacob, heirs with him of the same promise.” (Hebrews 11:9). There is within all of us a natural desire to settle down. The older I get, the less I like to move. I value coming home to the same place and the same faces every day. Several years ago we moved from Oak Park, Illinois to Tupelo, Mississippi. As we were packing, our home was filled with boxes waiting to be loaded on the moving truck. It was unsettling to look at bare walls that only a few days before were covered with familiar pictures. Suddenly that home looked less like a home and more like a building where we used to live in some distant past. Now run the clock forward 18 months. When we came back to Oak Park for a visit, we drove past our old home on Wesley Avenue. I had a strange sensation, as if I remembered living there in the distant past. It looked the same but it didn’t feel like home to me at all. There is a certain rootlessness about our life at this point that is instructive. Now that our boys are in their twenties, they are going in all directions at once. Four years ago our oldest son left to teach English in China. He came back and another son went to China. That son came back and another son left for China. Josh met Leah, they got married and went to China for a year. Mark met Vanessa when they served on the same team in China. After they came back to the States, they got married. When Josh and Leah returned to the States two weeks ago, it was the first time in four years that we haven’t had a son in China. Two years ago our family was together for a total of three days. Last year I think we were all together for about five days. This year we will all be together for three or four days. That’s the way life is – and will be for the foreseeable future. It has hit me that home is a matter of the heart, a moving target, not so much a place as being with the people you love the most. Wherever they are – in the U.S. or in China or anywhere else – is home in the truest sense. The rootlessness I spoke about can leave you with a vague sense of uneasiness, of trying to figure out where you belong. Multiply that feeling by a factor of 100 and spread it out over fifty years and you approximate Abraham’s situation as he came to the Promised Land. Our text tells us that he lived in tents. I know lots of people who like to camp on vacation, but I don’t know anyone who voluntarily lives in a tent as a permanent residence. Tents speak of impermanence, of the possibility of moving on at any moment, of the fact that you live on land you do not personally own. That’s Abraham. He didn’t own anything in the Promised Land. God had promised to give him the land; yet he lived like a stranger in a foreign country. If you don’t own the land, you can’t build a permanent dwelling there. No discount coupons from the merchants. No visit from the Welcome Wagon. No mayor with the key to the city. A third principle at work in Abraham’s life is the ultimate key to the life of faith. Truth #3: Living by faith means never taking your eyes off heaven. “For he was looking forward to the city that has foundations, whose designer and builder is God.”(Hebrews 11:10). As I have mediated on this verse, it hit me that there is a certain amount of disappointment built into the life of faith. Sometimes we think, “If I follow God’s call, everything will work out and I’ll be happy all the time.” As Dr. Phil likes to say, let me know how that works out for you. By saying that Abraham was “looking forward” to a city, it really means that he never found what he was looking for in this life. This world comes with a huge helping of frustration built into the core of everything. Just recently I read about a certain baseball manager who led his team to a World Series championship. It was a happy moment, the apex of his career, the proof that he had finally arrived, that he was a success and the best in the world at that moment. The next morning as he went outside to pick up the paper, he thought to himself, “Is that all there is?” The answer is yes, that’s all there is. It’s the same way with everything we do and everything we accomplish. We live, we die, we buy a house, we sell a house, someone moves in where we once lived. We take a job, we leave a job, someone else takes the job we used to have. And if we are fortunate enough to have a corner office with an incredible view, we should remember that someone else had it before us and someone else will have it after us. If this moment is golden for you, enjoy it but don’t grasp it too tightly because it won’t last forever. That’s one part of the life of faith. We never reach full satisfaction in this life. “Ah, but a man’s reach should exceed his grasp, or what’s a heaven for?” said Robert Browning. And that brings us to the second part of verse 10. Abraham looked for a city with foundations—that is, for a “city,” not a lonely spot in the desert. He wanted to live in a place filled with other people. He also looked for a city with “foundations,” a place with security and permanence that could not be found in a tent. That meant he was looking for a city designed and built by God. Why? Because all earthly cities eventually crumble to dust. Not long ago I visited the ruins of the ancient city of Jericho. When most people think of Jericho, they think of the city whose walls came tumbling down in the days of Joshua. But that’s only one Jericho. Archaeologists have discovered layers of Jericho, one after another, the city having been built, destroyed, and rebuilt across the centuries. The same is true of Jerusalem. When you visit Old Jerusalem, you aren’t exactly “walking where Jesus walked.” You are actually walking thirty to seventy-five feet above where Jesus walked. According to one source, Jerusalem has been destroyed and rebuilt at least forty-seven times in the last 3,500 years. That’s the way it is with all earthly cities. Nothing built by man lasts forever. No wonder Abraham was looking for a city built and designed by God. Revelation 21 describes that city as “the new Jerusalem, coming down out of heaven from God” (v. 2). In his vision John saw a city of breathtaking beauty, shining with the glory of God, “its radiance like a most rare jewel, like a jasper, clear as crystal” (v. 11). Christians have always looked to the New Jerusalem as the final abode for the people of God, the place where we will spend eternity together in the presence of the Lord. But note this. Heaven is a city. It’s a real place filled with real people. That’s the city Abraham was looking for when he left Ur of the Chaldees. Leave the beautiful city of Ur. Walk away from his career. Leave his friends far behind. Live in tents until the end of his life. Start all over again in a new land. Die without seeing all that God had promised. Abraham knew he was going to heaven, and that changed his whole perspective on life. He knew not just that he was going to die, but that after death he was going to enter a city God had designed and made. Let me add one final thought from this passage. If you had been a consultant watching Abraham’s life, you would probably say that he committed career suicide when he left Ur of the Chaldees. It didn’t make sense at the time, and frankly, the rest of his life was never a “success” in worldly terms. Hebrews 11:10 says that Abraham was motivated by a vision of something the people around him simply couldn’t grasp. He was looking forward to something they couldn’t see at all.Following God will sometimes lead you to make decisions that those around you simply will not understand. When that happens, all you can do is to explain things as best you can, and then set off to obey God’s call, leaving the results in his hands. Let me ask a personal question: How long do you expect to live? To put it more pointedly, how many more years do you think you have left before someone holds your funeral service? Ten years? Twenty years? Thirty years? Forty years? Fifty years? Sixty years? How much of that time are you sure of? The last question is easy. You’re not sure about any of it. The truth is, you could die tomorrow – or today – from any of a thousand causes. No one knows how long he or she will live or precisely when they will die. There are no guarantees for any of us. It’s not how long you live that matters, but what you do with the years you are given. Too many people die at age twenty-five but aren’t buried until they are seventy-five. They waste their best years in trivial pursuits, all the while missing out on the excitement of living by faith. Here is the whole message in one sentence. Following God’s will doesn’t guarantee worldly success. The operative word is worldly. God has one view of success; the world has another. Joshua 1:8 reminds us that those who meditate on God’s Word will be “prosperous and successful.” Psalm 1 contrasts the fool who looks to the wicked for advice with the godly who builds his life on the Word of God. The latter will be like “a tree planted by streams of waters” (v. 3a). God rewards such a man in this way: “In all that he does, he prospers” (v. 3b). But let’s not confuse that with the false notion that doing God’s will leads to a trouble-free life. Abraham lived in tents all his life. He died without receiving all that God had promised to him. In many ways you could say that by leaving Ur, he forfeited any chance at worldly greatness. Never again would he know the stability and settled prosperity that he had in Ur. From the day he left until the day he died, Abraham was a sojourner, a tent-dweller, a man living on land he did not own. If it’s safety you want and a guarantee of earthly success, then you’ll have to look somewhere else. But if you are willing to follow Jesus, I can promise you that you’ll never be disappointed in him and your life will not be boring. If you ever decide to make God’s will the great priority of your life, you will discover that it is indeed an incredible journey. Like Abraham of old, your search for God’s will will lead you out of your comfort zone into the exciting arena of living by faith. Along the way, you will discover that you can indeed survive without absolute certainty about what tomorrow will bring. You may even learn to enjoy living on the edge between faith and absolute disaster. In any case, knowing God’s will will cease to be an academic exercise, like doing your homework before going to bed at night. Instead, it will become the most exciting adventure you’ve ever known as you set out into the unknown to follow God wherever he leads you. Did you ever come across a truth in Scripture, and do a double-take? What I mean is, the Scripture pulled you up short, and you said to yourself, “Wait, what did that just say? Did I hear what I think I heard? And if I did, do I really believe it?” Those are double-take verses, statements or promises that are so amazing that we have to park there, or go back over them again. We know that Abraham believed what God said. His reaction was, “Amen!” Sarah, on the other hand, did something different…she laughed. She was behind the tent, thinking nobody heard her, but God confronted her with that fact, and then He said, “Is anything too hard for the Lord?” (v. 14). That’s a double-take verse, not only for Sarah but for all of us! Another one is found in the Sermon on the Mount. In the gospel of Matthew chapter 7, Jesus said, “Ask, and it will be given to you; seek, and you will find; knock, and it will be opened to you. For everyone who asks receives, and he who seeks finds, and to him who knocks it will be opened” (vv.7-8). You probably have some double-take verses of your own. My point is, what should we do with these double-take verses? I hinted at it with those questions above. When we ask ourselves, “Do I really believe that?” our answer should always be like Abraham, and like Mary, and like Jeremiah. We should always believe what God says, and rely on it! and listen to today’s broadcast of The Connection with Skip Heitzig at OnePlace.com.